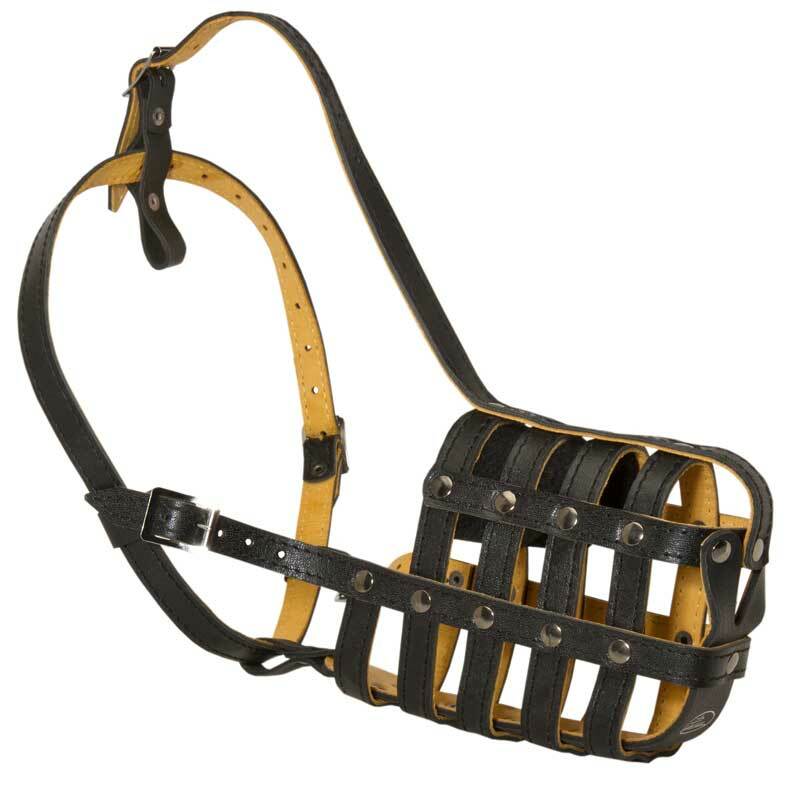 This Super Strong Dog Muzzle is manufactured of full grain genuine leather that is durable and pleasant to wear. It is soft and known for its flexible properties. Be sure this dog item contains no toxic substances, so it is safe for your dog’s health. 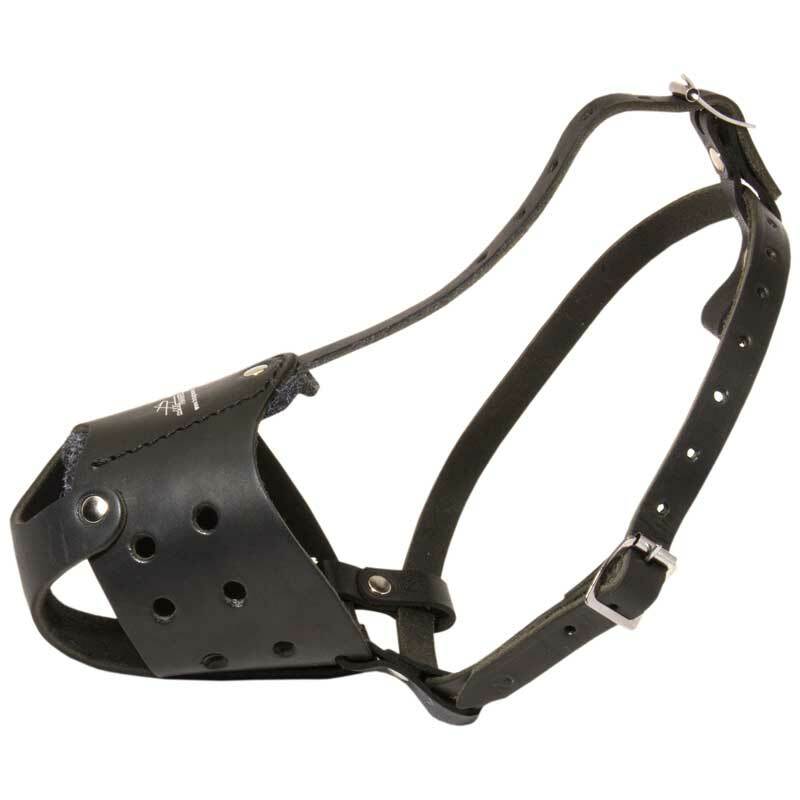 This Muzzle is covered inside with soft thick felt padding which doesn’t irritate the tender skin of your dog’s snout. It provides extra comfort and protects from skin rubbing and irritation. Moreover, it is rather lightweight in order not to distract your pet. 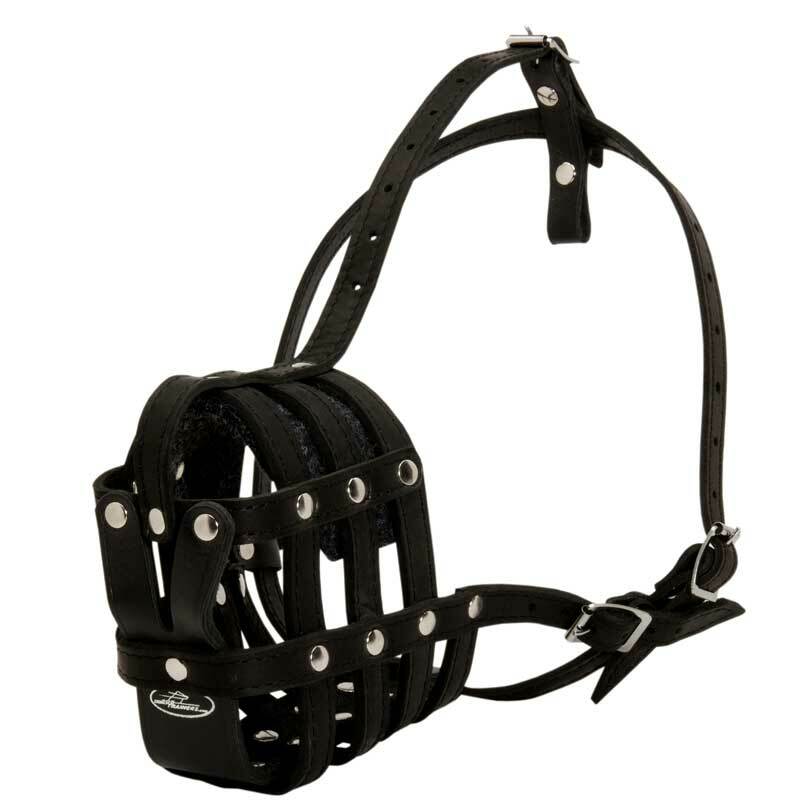 Due to its advanced ergonomic design, you can use this Muzzle all weather and all year round. It is perfect not only for everyday walking in the park, but also for transportation, traveling, visiting a vet and basic training.